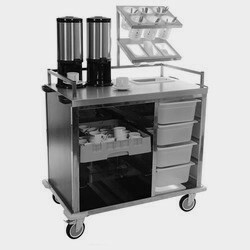 Desgined to solves purpose of serving hot tea/coffee at office / shop floor. Elegantly designed with stainless steel top. Under shelves for storing cups, plates and snacks.